This is a picture of my broomball team, taken right before our first game on October 1st, 2017. It was taken at the OSU Ice Rink in order to remind us of our first game. I selected this picture because playing broomball last night really helped me bond with my friends. It was the first competitive club I had joined at OSU and being part of a team made me feel great. We were encouraging and lifting each other up. We were able to use our communication and leadership skills from being part of Mount Scholars and walked away with a 4-0 win. 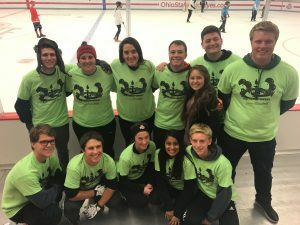 Broomball is not something I would usually do, but my friends encouraged me to come out of my comfort zone and I ended up scoring and having a great time. I chose this artifact because my first broomball game is something that I will always remember and I know I want to keep playing. I learned how to communicate with my teammates along with how to act quickly and efficiently while under pressure. Broomball is a fast pace game so everything has to be done with speed. I look forward to more successful games with my fellow broomballers and enjoyed the challenge it brought. Deepthi Reddy was born and raised i n the suburb of Mason, Ohio. Growing up, Deepthi had a passion for learning. Whether it was academics or sports or even learning how to cook, she always wanted to know more. In high school, Deepthi loved to get involved with all the amazing opportunities around her. She became a volunteer at Cincinnati’s Children Hospital Medical Center where she worked alongside physical, occupational, and speech therapists who were working with kids with cerebral palsy. Deepthi always had a love for the sciences and was incredible grateful for the chance to be able to work with professionals in that field. In high school she was a committee chair in her student government where she led her committee in the planning of multiple events school-wide events. Deepthi had to learn the important task of delegation and communication. Another big part of Deepthi’s life is working with the iBelieve Foundation. The iBelieve Foundation is a non-profit organization that helps high schoolers from the Appalachian region develop skills such as leadership, communication, group work, problem solving. Deepthi will continue to work with this foundation throughout college. 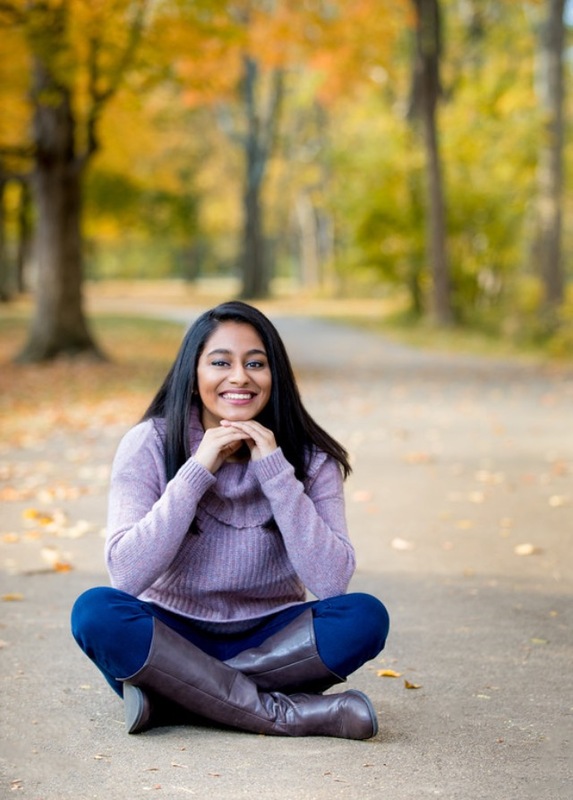 Deepthi is a first year undergraduate student at The Ohio State University, majoring in Health Sciences in the School of Health and Rehabilitation Sciences. Deepthi is in Mount Leaderhsip Society Scholars program and hopes to have a leadership position in the next few years. Deepthi also joined the Indian American Association. In the future, Deepthi hopes to get more involved in the clubs she is in, along with joining intramural sports. She hopes to go to graduate school to become a physician’s assistant.